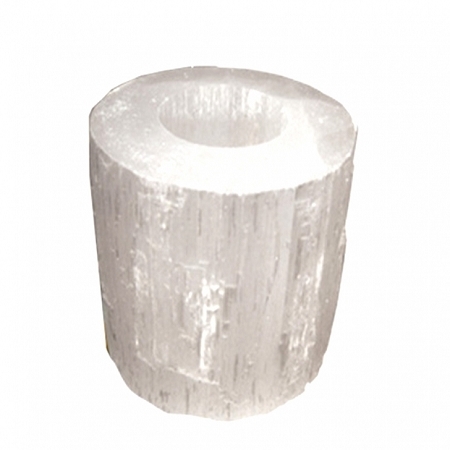 Natural Selenite tealight holder carved out of natural Selenite, these candle holders are chic and distinctly modern. 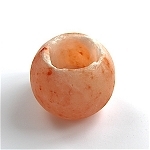 Carved to hold tea light this piece creates a calming glow. 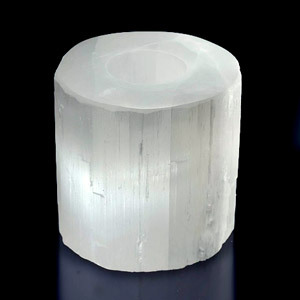 Selenite is translucent with a frosted look. 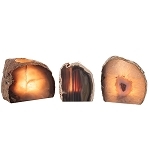 Each candle holder will vary slightly as these are natural minerals. 3 1/4 by 3 1/4 inches.